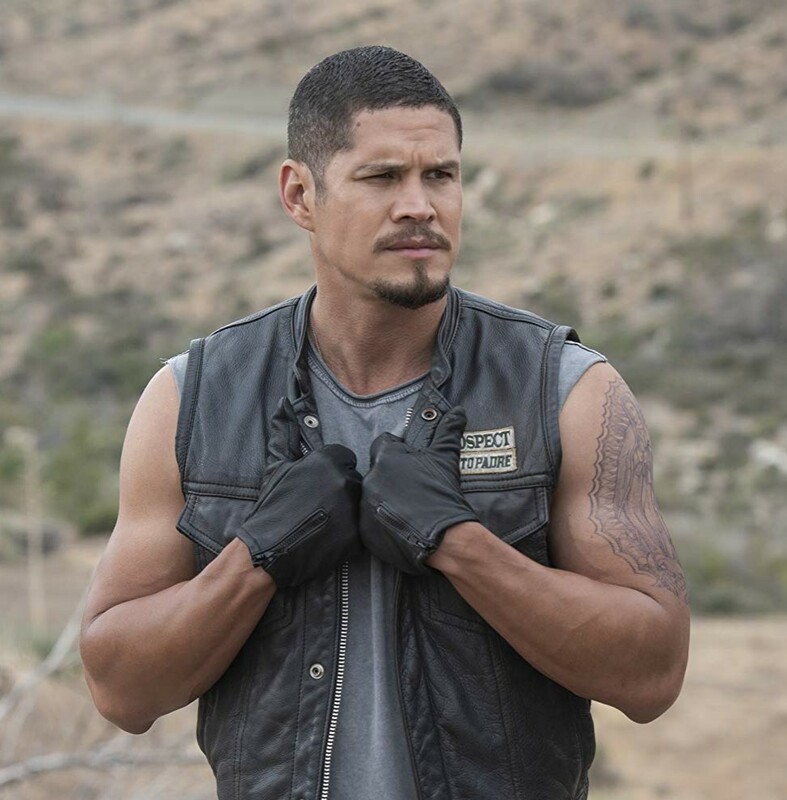 Kurt Sutter is back on TV with the Sons of Anarchy Spin-off, The Mayans or Mayans MC, and it hits the mark that you would expect from Sutter's world of ugly, honor-bound criminal motorcycle clubs and cartels. But maybe a little too so. There's Ezekiel 'EZ' Reyes, played by JD Pardo, who is pretty much at the center of everything. There's the DEA, with a man on the inside, trying to get the low down on the cartel. Ez's father, Felipe, played by Edward James Olmos, has a dark past we're slowly learning about. A past his own kids don't seem to know about. Olmos is perfect for this role. There's the The Mayans MC, who do things for the local Cartel boss, played by Danny Pino. There's the rebels, fighting the cartel on subversive fronts. The cartel is setting the Mayans on the rebels, but there are a few of the Mayans that are quietly helping the rebels. There's the local cartel boss's wife and 'his' child. The wife is Ez's ex, and she was carrying Ez's child when they broke up. Yea, that's whose child it really is. And there's the traditional, grey area, dirty cop and questionable morals mayor who also works with the club. I think that about sums up the basics. 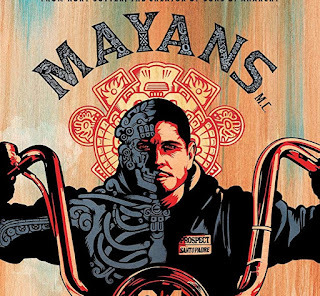 Mayans MC is an extension of the Sons of Anarchy world, taking place after the events in SoA, so we get the same feel/vibe of Sutter's dark, criminal world of well-meaning chaotic good biker dudes. As you can see, they've kicked off the show with a lot of busy story threads, but they're all manageable to digest so far. I don't remember SoA kicking off with so many story lines, but rather, built up to them. Though despite all the upfront plot points, there are still a few mysteries that are unfolding. Sutter kicks off the series in full swing... and it's good to be back watching the world of biker ga... I mean motorcycle clubs. 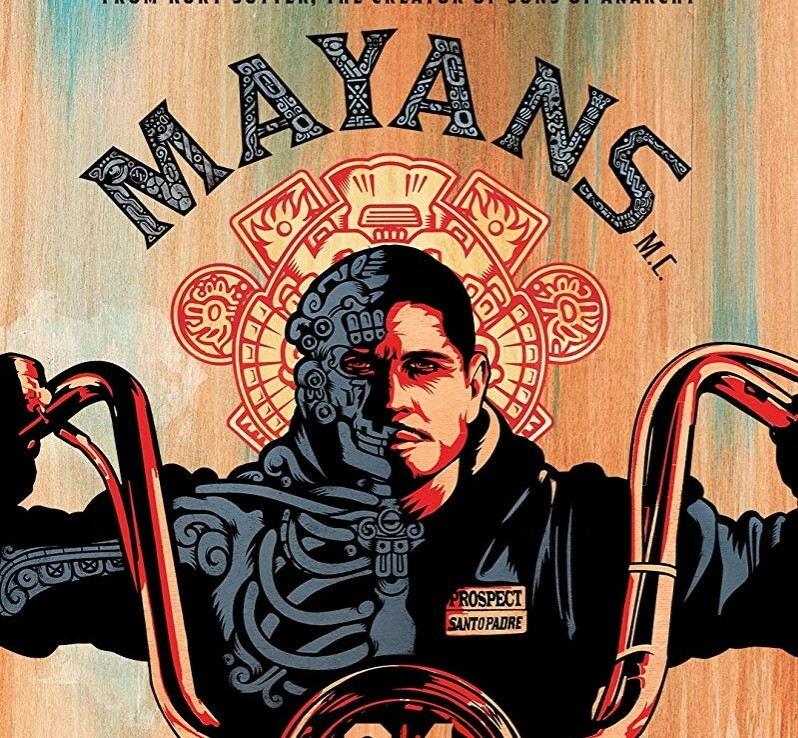 I've been seeing online reports saying that some folks that liked SoA don't like Mayans MC. But I am enjoying the crap out of it. It's different enough to distinguish itself from SoA, but yet feels comfortably dirty. The only caveat I have is that about a third of each episode has subtitles because the cartel speaks in their native language... and that can be pretty effing annoying.